Many people have asked me what having chronic fatigue syndrome (CFS) is like or what it feels like. Sometimes, they just presume what it’s like. Sometimes people assume I must feel tired all the time and just need more sleep. However, honestly, this is far from the truth. Deep below the relatively “normal” person you may see in front of you is a real tiredness that is so much more than you could ever imagine. Today, if you will come with me, I am going to take you on a journey through your own experiences and hope that in just a small way, it will give you a further peek into life of just one person with CFS. I would say I want you to close your eyes and imagine, but if you do that you can’t read what I am saying. So, with your eyes wide open, take a moment to think about the times in your life when you have been the most tired. Was it after a night when your child woke every 45 minutes without fail? Was it the morning after an all-nighter to get a university assignment done and dusted? Was it after a sleepover at a friend’s house when you were a teenager? 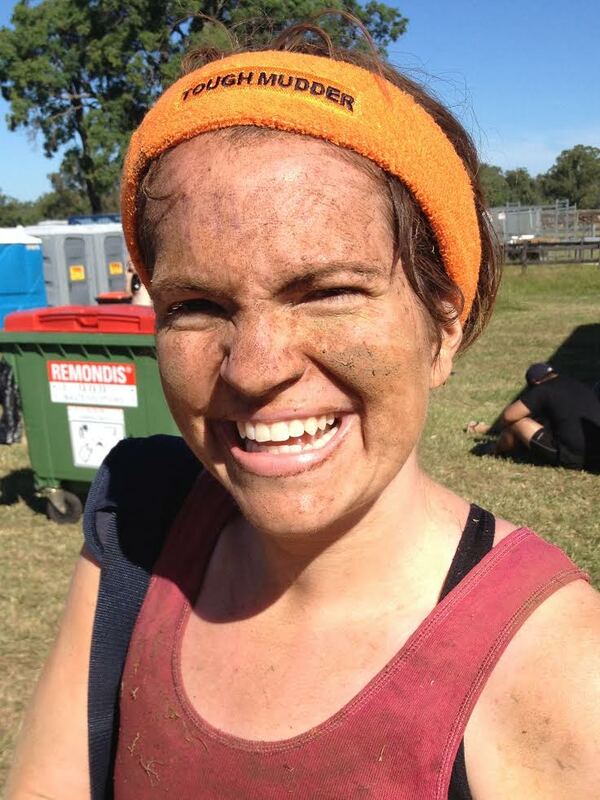 Was it after running your first half marathon, Tough Mudder or Spartan race? Was it the evening after sitting a whole day examination? Was it after a week of teaching a new kindergarten class, when you just got home and collapsed on the couch? Take yourself to that time. How did you feel? Yes, you were tired, but what did tired feel like? Were you walking around in autopilot, just going through the motions of what you needed to do? Brushing your teeth and eating your breakfast (probably in that order) without the energy to lift the food or the brush to your mouth, but knowing you needed to do it? Were you eating for the sake of eating, even though you weren’t hungry and the thought of food made you nauseous? Was there a dull headache that just persisted throughout the day? Was it not quite trusting your judgement and second-guessing yourself as you drove into university to drop the assignment off? Did you make a wrong turn on a trip you had done hundreds of times? Did it feel like your spatial awareness was kind of off as you bumped into chairs or people as you walked down the sidewalk? Was it the feeling of being highly sensitive to any noise, smell or to the person who said or did the smallest thing wrong? Did you find yourself snapping or crying with no real reason, as those things that wouldn’t have normally annoyed or upset you became major stressors? Was it the feeling of adrenaline after the race? The surge of breathlessness, the dizziness, the muscles beginning to cramp, the deep exhaustion slowly beginning to overtake your body as the adrenaline wore off and the pain began? Were you completely and utterly brain dead after sitting the exam? Did you struggle to add up the correct change for the train trip home? Did people ask you what you had done that day, and all you could do was stare at them blankly? Or were you collapsed on the couch unable to contemplate lifting your arms to reach the glass of wine on the coffee table? Did you get a deep feeling of heavy limbs that even a glass of wine after a long week can’t remove? Fatigue is more than just tiredness. It encompasses emotional, cognitive and physical factors. It encompasses all of your life. The combined description of the feeling of tired above would be the baseline, the everyday, for someone with chronic fatigue syndrome. It’s as if the brain has switched a switch and recreated a new normal. A new normal where mental clarity, spatial awareness, physical wellbeing and emotional stability are out the window. A new normal where you can feel out of breath and dizzy whilst lying in bed. A new normal where your limbs now weigh a ton. A new normal where your body is in pain constantly. A new normal where you wished you just felt tired or that a good night’s sleep would make a difference. This is what being tired (fatigued) means to a person with CFS. But I have hope, a hope that is bigger than how I feel. A hope that sustains me each and every day: I lie down and sleep; I wake again, because the Lord sustains me (Psalm 3:5). Please Note: I have people hesitant to tell me they are tired or they are shattered after a long night, and then follow it up with, “But not as tired as you must be,” as if somehow they have no right to complain or be tired. Could I please let you know I have the upmost empathy for anyone who is tired for any reason? Please don’t feel like you are complaining, because being tired is exhausting. A version of this originally appeared on Make It, Bake It, Fake It. I am a 30-something educator turned professional patient from Sydney, Australia who loves a bit of fitness, all things creative and a whole lot of baking. I have spent the past 3 years trying to find the balance of enjoying the things I love whilst living life with chronic fatigue syndrome.